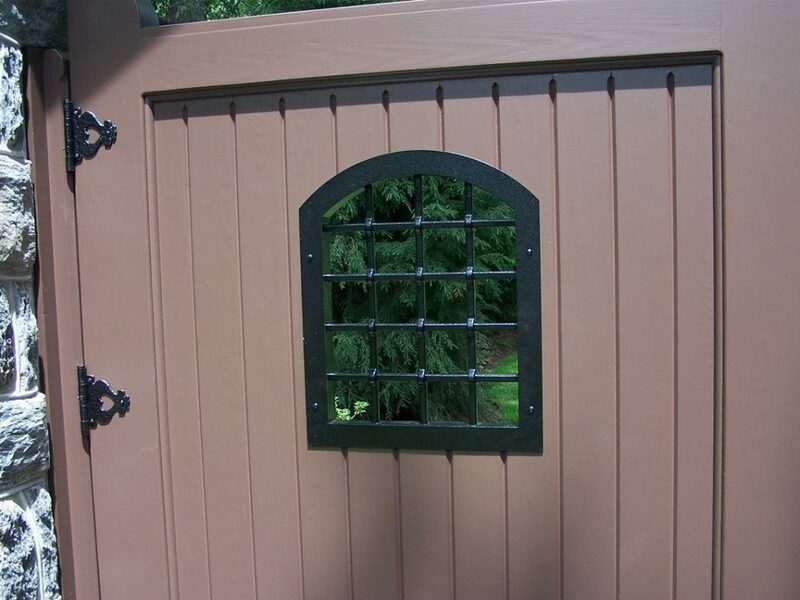 Material and Finish: Black powder-coated iron. 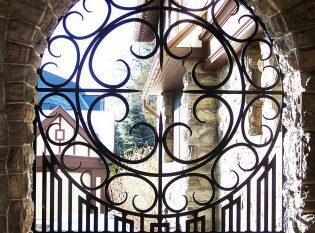 Description: Custom hand-forged decorative iron railings. 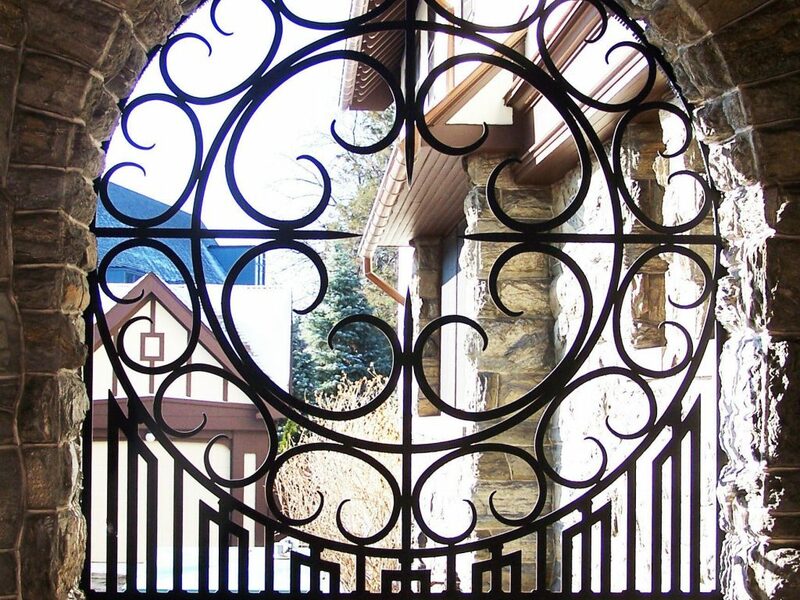 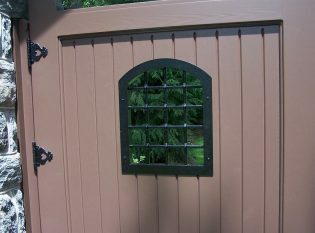 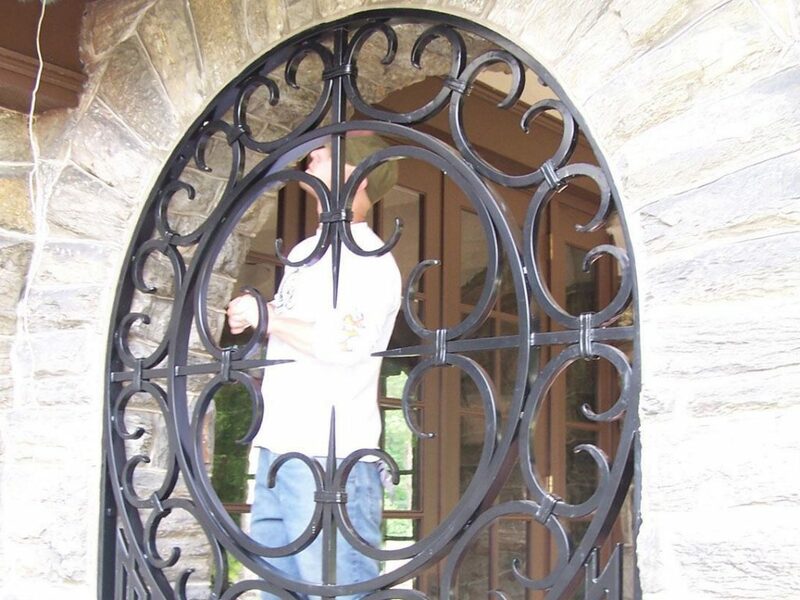 Custom designed, hand-forged window grills set into this arched stone opening.